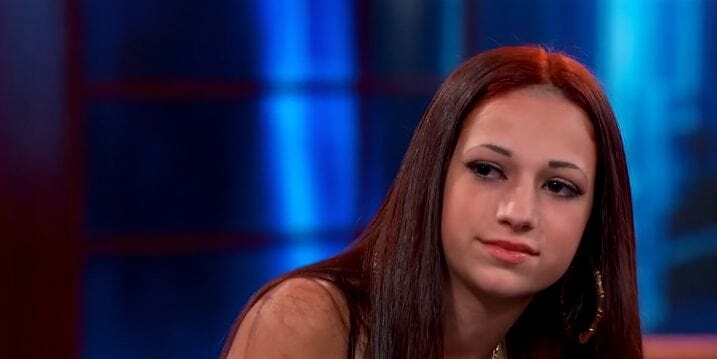 It seems like there’s just no stopping the incredible trajectory of the ‘cash me outside’ girl as she’s just done her first pro photo shoot. We recently reported the teen is being offered the eye-watering sum of $40,000 (£32,000) just for doing meet and greets with her fans at the Rolling Loud Music festival this spring. The viral ‘star’ who emerged after an appearance on the Dr Phil show, has now not only appeared in her own music video but has also taken part in her first professional photo shoot, with makeup artist Wanthy Rayos. Her ‘career’ has seriously escalated way too quickly, with her journey from bratty teenager to internet meme to full blown celebrity taking a mere six months. This whole thing is becoming absolutely ridiculous. What exactly is the world coming to?